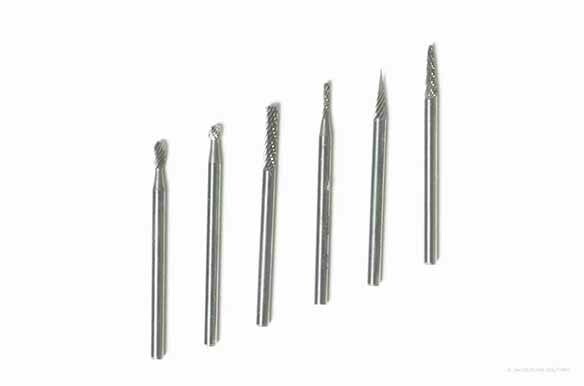 Falcon Tool offers a full line of Solid Carbide Burs for a wide range of applications. 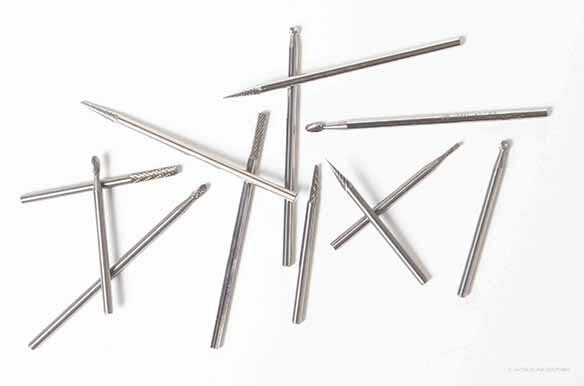 You can expect tool-to-tool consistency from our made in USA Carbide Burs. Lab inspected raw materials, machine-ground cutting flutes and an automated temperature-controlled brazing process results in a premium quality bur. Overall length for this line is 2" (standard 1-1/2" length, 2" length and extra long shanks also available). 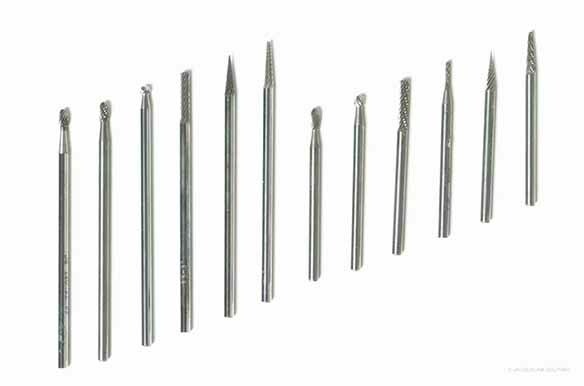 Available in a 1/8" shank and a variety of shapes, sizes and fluting styles to fit your application. Burs can be resharpened. Our SPM80R-IMP Pencil Die Grinder is the perfect tool for precision deburring and finishing with Carbide Burs. Use of eye, face and ear protection is strongly recommended! Double Cut: Provides very efficient stock removal for deburring, finishing and cleaning applications. Creates a small chip for a good finish. Offers excellent operator control. Single Cut: General purpose fluting offering medium stock removal for deburring, milling, cleaning, and finishing applications. Produces long chips. Custom cuts, shafts and lengths available by request. Contact Customer Service for assistance. Contact Customer Service for SDS.